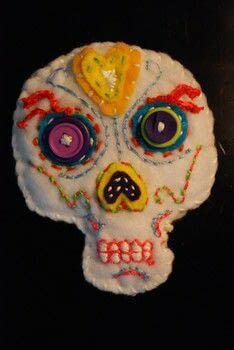 https://www.cutoutandkeep.net/projects/day-of-the-dead-pin-cushion • Posted by Felecity W.
I made this 4 inch cutie for a private swap. I had alot of fun playing with the embroidery floss, and am thinking I should learn actual techniques. This was a very cheap project only requiring 1 sheet of felt, different colors embroidery floss, buttons, and stuffing. 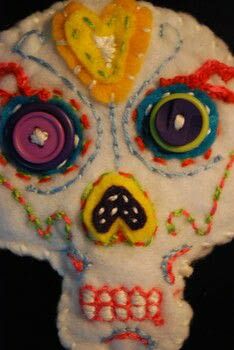 You can use this as a pin-cushion or just for looks.